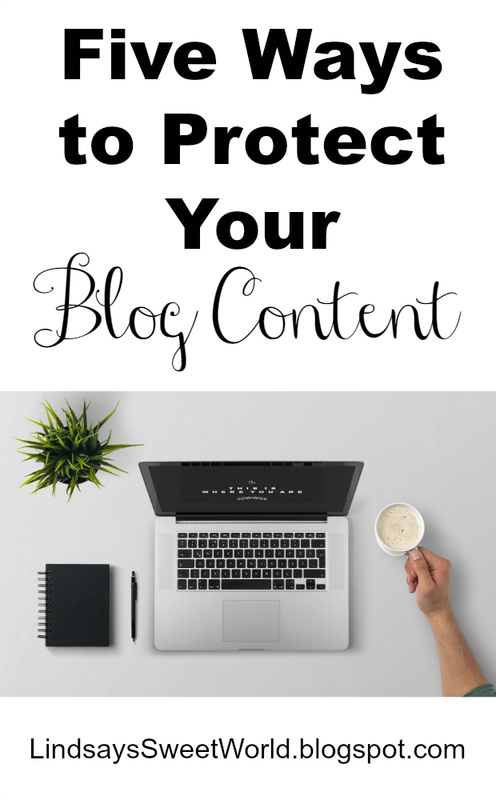 If you read my last post, then you know that one of my favorite bloggers recently had her content compromised, and it has really turned me off of blogging for the last couple of days. I decided to take the day off yesterday, and I used the time to ponder the future of my blog, to chat with Brian and several of my other lovely blogging friends about the situation, and to do a little bit of research on online content security. 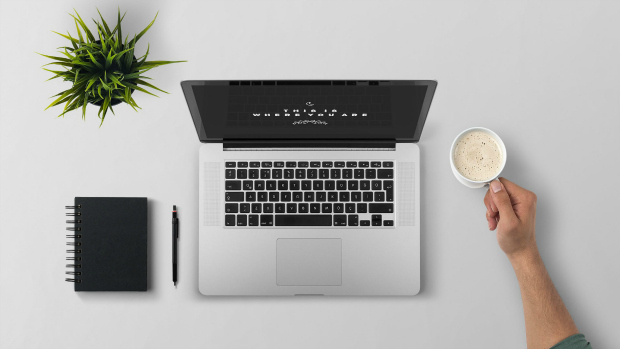 I have really found my passion in blogging, and I really don't want to give it up, so I have decided to take several steps to help prevent – or at least deter – someone from disrupting my little space on the web, and most importantly, to give me a tiny sliver of peace of mind. And don’t get me wrong, I know that bad people are going to do bad things no matter what, but I’ll be damned if I’m not going to at least try to prevent them from doing it in the first place. As most of you know, my blog is very personal – I blog about my life and the things I love, a lot of which centers around my family. I don’t run a blog that I’m looking to sell one day, and I don’t run a blog where I use lots of stock photos or photos that would be acceptable to me if they were “stolen.” I post many photos of my husband, myself, and our babies, and it is not ever acceptable for anyone to be pinning those or saving them for any reason. Just plug your blog URL in place of “YOURWEBSITEHERE” and you will then be directed to a webpage where you can see every single photo that has ever been pinned to Pinterest directly from your website and the users who have pinned them and the boards on which they have been pinned. To my horror, when I did it yesterday, there were 25 photos of Olivia that had been pinned by a variety of different people across a variety of different boards. I’m sure they were all completely innocent as they were all pictures of her from her first birthday party (this post that’s still going viral) and they were all pinned to boards for birthday ideas and such, but still. Do not pin pictures of my kids. Just don’t. This URL takes you directly to Pinterest’s Copyright Infringement Notification page where you can request that Pinterest take any unwanted pins down. All you have to do is fill out your basic information including your blog URL and then you just add the URLs for each of the pins that you want taken down (you can do up to 100 in one request) and submit it. Well, I thought for sure that it would be days, maybe even weeks before I heard back from them, but nope, it was just three hours. Three hours, people! Within three hours the wonderful people at Pinterest had taken down every single pin that I had requested. Believe me, I checked! They were all gone. Every single one. Bravo, Pinterest, bravo. Keep up the good work! Needless to say, I will be checking on my pins once a week from now on, and you should, too. 1) Add watermarks to all of your photos. Sigh. This is not something that I ever wanted to have to do because a) it’s a lot of extra work, and b) it just doesn’t look pretty. But when it boils down to the safety of my kids or the photos looking pretty, I think you know that I’ll probably go with the safety one. 2) Disable right-click on your blog. Yes, super annoying for the blog reader and from what I read, also somewhat unprofessional, but again, the safety of my kids trumps all of those other things. You should always always monitor your blog followers as well as your social media followers very closely. I watch mine like a hawk. Ever notice how I have my blog followers from all channels (Google Friend Connect, Google+, and Bloglovin’) displayed in my sidebar? Well, that’s so I can easily see when I get new followers. Every time I see a new one, I immediately check out their profiles/blogs to make sure that they seem legit, and if anyone looks suspicious or gives me a bad feeling, I block them. As far as subscribers go, there’s really no way to know anything about them because all you can see is their email address. This is the one thing that has always driven me crazy. Same goes for Instagram, Twitter, Facebook, and whatever other social media channels you use to promote your blog – I look at each and every person who follows me on every social media account and then decide if I want them following me or not. If I get a bad vibe, I block them. I can’t even tell you how many people I have blocked on Instagram. There are definitely some weirdos out there. Simply checking up on your visible followers doesn’t ensure that there are no creepers out there watching you, though. If your accounts are public, anyone can look at your info and pictures at any time and you would never even know that they were watching. The only way to guarantee that weirdos aren’t seeing your information is to make your social media accounts private. However, the downside to making your accounts private is that it makes it a whole lot harder to get new followers, which is a bad thing if you’re trying to gain exposure. From what I’ve read, you technically don’t really have to do this as your blog content is protected already anyway, but it doesn’t hurt to remind everyone. In light of recent events, I revamped my copyright notice this week and displayed it prominently in my sidebar so no one can miss it. I’ve always had a copyright notice in my footer and I left that one there as well. Therefore, mine is: COPYRIGHT 2015-2016 LINDSAY’S SWEET WORLD ALL RIGHTS RESERVED. I also decided to take mine a step further and let people know that I do not want them pinning pictures of my children. I welcome party décor, projects, and house tour pinning, but nobody has any business pinning pictures of my kids. Just don’t. And finally, I added that legal action will be taken if any of this is breeched, because, by golly, it will. Don’t be afraid to let people know exactly what’s going to happen if your content is compromised. In addition to the copyright notice in my sidebar, I also added one to the top of that blog post that is still viral on Pinterest. It’s the post that I spoke about above that has been viewed over 35,000 times. You know, the one where people were pinning pictures of Olivia? So I added a copyright notice to the top of the actual body of the post. That’s right, right in the post itself. Now, nobody has any excuses. As far as Instagram goes, I’m currently working on adding a copyright notice to my bio, but you only have a certain number of characters that you can use, so I’m trying to decide how to word it. All of those services are free, but you can also pay $10/month for additional services and unlimited takedowns. Once you register, they provide a protection badge that you can place on your website to let others know that you are protected, and when people click on the badge, it shows your DMCA certificate. If you don’t pay, your certificate shows as “unverified” but that doesn’t really mean anything as they are still monitoring your content and alerting you of plagiarism and theft. This may all seem a little overboard, and it may not be necessary for those of you out there who don't blog about your personal lives, but being the mommy blogger that I am, and in light of the recent events, these are the right moves for me at this time. I just believe that you can never be too careful… especially when the smiling faces of your babies are out there for all to see. And I also know that creepers gon’ creep no matter what, but at least I have some peace of mind knowing that I’m doing everything that I can to deter them. Do you have any other ideas on how to protect your content? If so, please share! I would love to hear them! You know I've been waiting for this post! Thank you so much! I'm still going to take the weekend to decide what to do & talk it over with Luke. I've already searched the pins & will be filling out a form quickly! Thank you, friend! These are all great options!!!! I am so glad you were able to find things that will give you more protection and a greater piece of mind! Way to go! This is great! Thank you so much for these tips. I have been trying to figure out ways my pictures, etc of the kids can be safer and these are just what I was looking for. I've already done the piece so you can't right click my pictures, but I'm going to do watermarks as well. Thanks for this list! It's so helpful! Going to look into watermarks for my photos. I don't hesitate to block some creepers on my insta. That was my major hesitation on making it public! Have a great weekend! Thanks for doing all this research and sharing with us!! I am going to check on my pins now too. I need to add a copyright and I already have disabled the right click use of any of my photos. Have a great weekend and thank you again!! I am so glad you wrote this post! My plan is to get some of this done this weekend! I watermarked photos for a while but I stopped. I want to start doing it again, but what about all the photos already published? SUCH a pain. Also, the right click thing. I've had my blog right click protected for a while now, but here's the thing. There are ways around it. I tested it when I first set it up. I'm not going to post publicly what those ways are, but it's scary that it's not a perfect solution. Question... are you allowed to put a copyright note if you don't have legal paperwork or whatnot? That's why I never added that line. I'm definitely checking out DMCA today - thanks for sharing!! P.S. I used the same verbiage you did for the copyright thing. I hope you don't mind. If you do, let me know and I will change it! Wow! These are great! I'm checking the pinterest link now! So many wonderful tips, Lindsay! I can't imagine what it felt like to see your precious daughters face all over Pinterest! One of the many reasons why my husband and I have decided not to share pictures of our when on the internet, once we do have children. Glad you have taken the steps to protect your blog and kids!! I had my blog right-click disabled, but since I don't share super private things...I went ahead and took it off. I will have to start watermarking again though...it is a pain! Yeah, it really stinks that it has to be this way. Bad people in the world are always ruining it for everyone! Thank you for doing the research on this. I am going to check into incorporating all of your advice on my blog. THANK YOU for posting this because after Jess's blog today, again I was on the edge and was going to quit. I joined DMCA, it's displayed on my blog now, and I put a copyright up (I used your verbage and changed it to my info and took out the Pinterest part, I hope that's ok I used yours as a template). I'm still not sure about the pictures though.. Neal pointed out this morning that watermarking won't stop some people.. so he suggested I just write and don't post pics. But that's part of how I share stories, so I need to think on that... I don't know what to do about that aspect. These are great tips! Thank you so much for sharing. I never thought about checking pins. I'm going to work on that over the weekend! You're welcome! I hope this helps you! Thanks Lindsay. I'm not gonna lie...I stalked your blog the other day and started incorporating some of your protections after I read your post the other day. I have the DCMA thing and the copyright now. I can definitely do the watermark, but now not too sure how helpful that will be. What do you think? I LOVE checking the pinterest source for my blog. I had the right click thing turned off on my blog for awhile but ultimately took it off since I don't share too much personal information on here. I think it's definitely important to be aware of what's happening on your space though. Amazing tips, lady! How do you turn off the right click?! I am terribly with technology, ha! but I'd LOVE to do that. Like Leslie - used the same wording for the copyright - is that okay?? If not I will surely change it! Just did the DMCA copyright thing too. These are all great tips and reminders and even though I have a Pin it button option on my blog I agree I want to protect my children as well. However I will say if you are on Bloglovin the pins I have specifically added the no pin code to it doesn't apply to Bloglovin so another words it seems all best efforts if you are on the Internet you are out there. I try to only post pictures of my two girls always clothes no bathing suit shots, etc. Little babies in bath tubs are adorable which I think all Moms can agree, but I think so compromising and then to think how those kiddos might feel when they grow up to learn that they have pictures like that on the Internet, etc. Great post thanks for sharing! Yeah, when using that website that I provided it only checks the ones that are on Pinterest, so there's no telling where else your pictures could be on the internet. So scary. Fantastic post...definitely scary being out there! Thank you, Deena! Yes it is! Yay! Glad you found me from Living for Naptime! And yes, just be very careful! Thank you for sharing. I love seeing what and who has pinned from my blog. So helpful. Yeah, it stinks that we all have to be so careful these days, but it's definitely best to have some peace of mind knowing that you're doing as much as you can to protect your content! THANK YOU for this post! I have a new blog and hadn't even gotten around to posting a copyright notice yet. I had no idea about DMCA, so I signed up for that too. This was so helpful! I'm so glad that you found this helpful! One of my blogger friends had some weird stuff happen to her about a year ago, and that's what prompted this post. And thank you SO MUCH for letting me know about "nopin" I had no idea that you could do that! I will definitely look into it and see if I can figure out a way to start making that happen as well!